And PAUSE for a moment with ATC! What a fabulous start to 2018! We have kicked off our local treks, filling up our regional and international treks and preparing our members to reach their peak. Information evenings, workshops, trek training and our Trek Leadership Preparation Programme have been taking place in full swing from the start of 2018! As we are now in the Month of Women Empowerment, we encourage you all to #PushForProgress. Be fearless in the pursuit of what sets your soul on fire, believe in yourself, live your life how you want to live it and aim for the best you can possibly be! 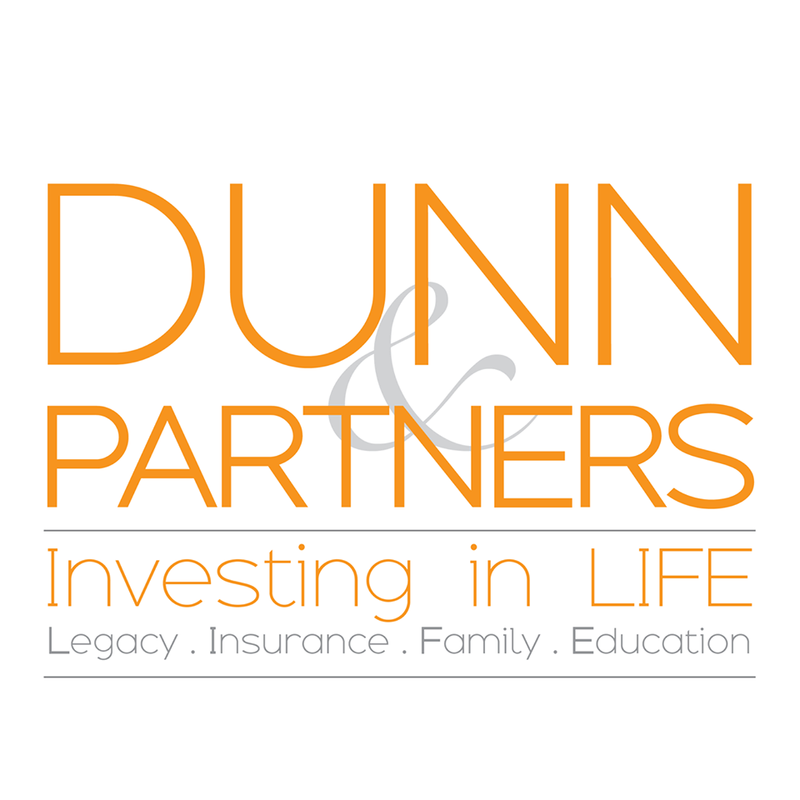 Welcome to our first newsletter for 2018, and to our year of Peak and Pause! 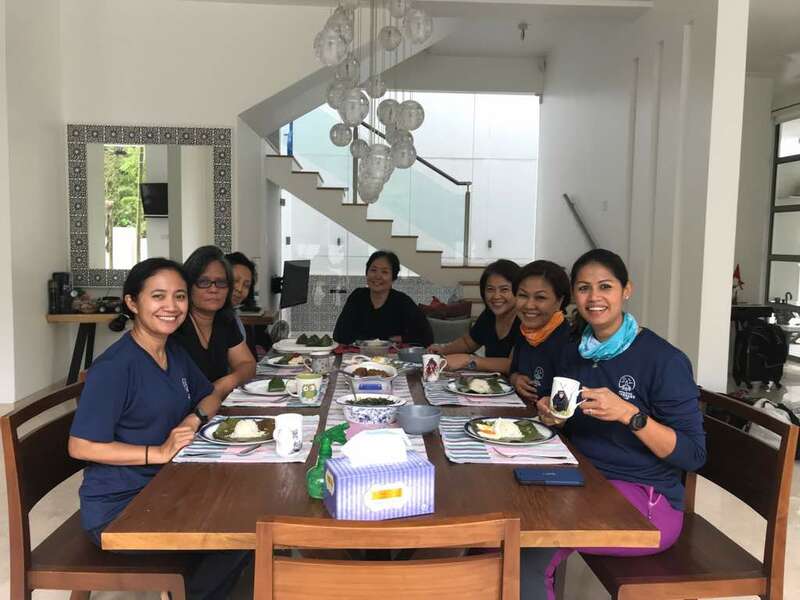 Follow our members, partners and experts through this journey of adventure and exploration and get the latest news on our Golden Girls with Golden Hearts Charity programme. This lady is so beautiful inside and out! On each and every trek she joins, she looks out and supports everyone in the team, always making sure they are happy, comfortable and smiling! We are so privileged to have her in the group. Hear from Karen how she got hooked into trekking and why she continues to climb! "My love for trekking began during my gap year when I was teaching in Nepal. I desperately wanted to see Mount Everest, yet the two opportunities I had for great views were thwarted by thick fog. Bad luck I thought. But I knew I couldn't leave the country without seeing Mount Everest, so I decided to trek to her. There was my silver lining... a nineteen day Everest Base Camp trek and I was hooked! Over the years I've enjoyed many treks here and there, most memorably in Patagonia, Western Australia and Vietnam. However, the usual stresses of everyday life, my work as a geophysicist and motherhood put trekking on the back-burner. 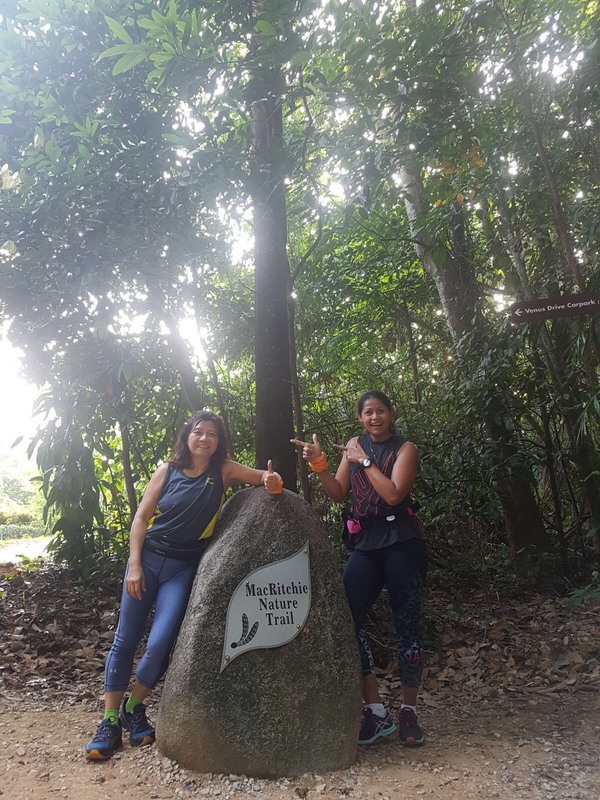 Then, after moving to Singapore, I walked Bukit Timah Hill a few times with a friend. She turned out to be an ATC member and invited me to join her on the Kinabalu trek last September. My first adventure with ATC and my passion for trekking was well and truly reignited! Soon after I was lucky enough to trek the amazing Inca Trail and I can't wait for Rinjani with ATC later this year. I've always loved going to high places and being surrounded by nature, but these days I've come to realise it is food for my soul. The sense of accomplishment I have returning from treks leaves me feeling energized and empowered. It boosts not only my physical but - more significantly - my mental well-being. Now that I have found ATC, long may the combination of nature, like-minded ladies and personal challenge continue." Thank you Karen for sharing your love of mountaineering with us and we look forward to many more treks with you. 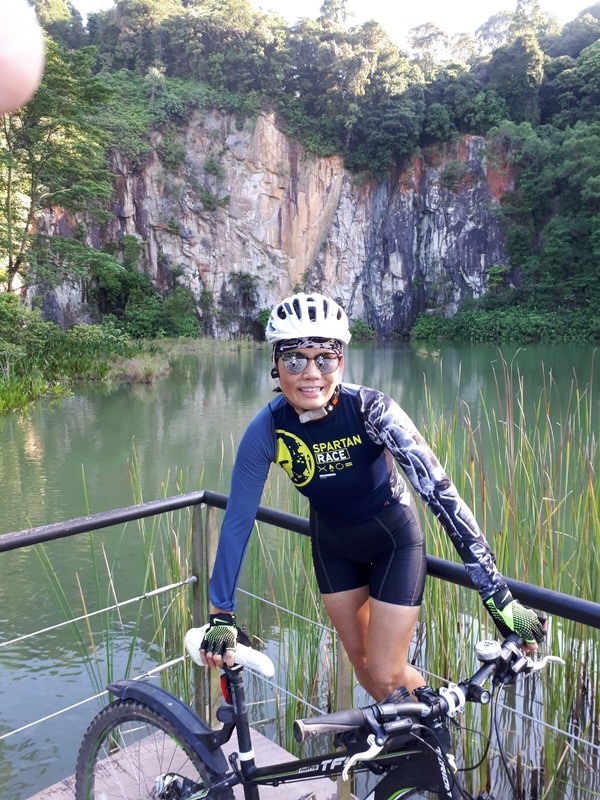 This lady oozes strength, agility, energy, enthusiasm and confidence as she runs up and down mountains and conquer rock walls as the leader of ATC Eagles Rock Climbing team. 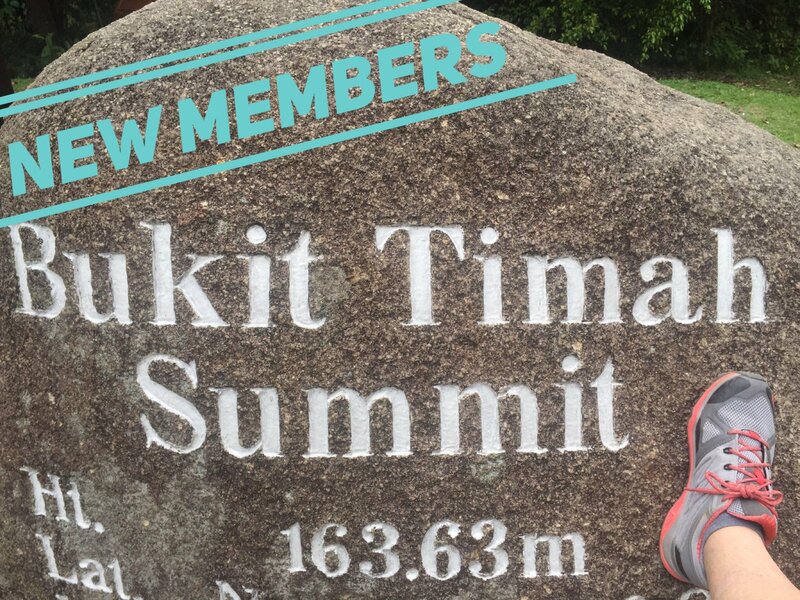 Fotini climbed 4 mountains with ATC in 2017 and signed up for another 3 in 2018, which include Gunung Belumut, Machu Picchu (4 days Inca and Rainbow Mountain) and Mont Blanc. 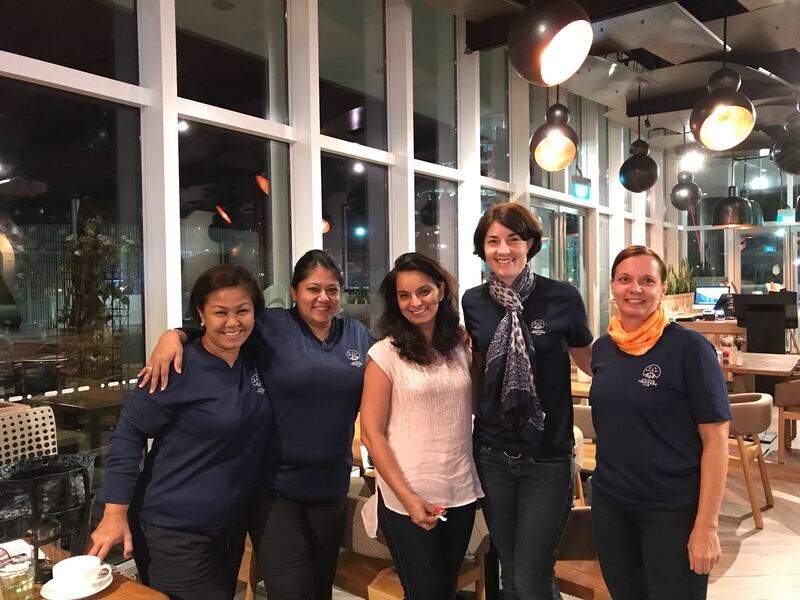 She has climbed quite a lot in the Indian Himalayas (including Ladakh & Anapurna Basecamp), Mount Fuji & across Southeast Asia (including Mount Kinabalu, Mount Merapi, Semeru, various volcanoes in the Philippines & trekking across Myanmar & Vietnam. In Fotini's words "Stumbling across ATC for me was obviously meant to be, with a very stressful and high-powered job, I really had no time for anything else. 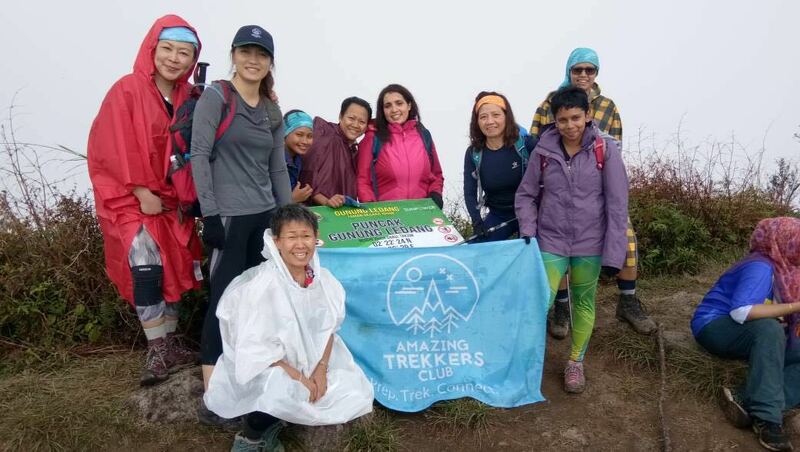 Hazleen, Shah, Ani and Becca are so lovely, caring & down-to-earth, which is what I really like about this mountaineering club for women. I have also met so many lovely people from all walks of life that I would never have met and I really like that. It helps me broaden my mind, my horizons. I look & think differently about life since I’ve joined them. I've always loved trekking and did a lot up until my mid thirties, but that's when everything stopped - due to motherhood & work commitments. It's hard to find like-minded people to plan outdoor activities in my industry - most people think I'm nuts! I'm keen just to keep doing more, experience new places and cultures. I've only ever trekked in Asia, so I'm planning to trek more back home in Europe and everywhere else in the world." I am looking forward to being in Peru, Machu Picchu and climbing Mont Blanc with ATC. 3Ps (Peaks, Power, Performance) CHALLENGE (2017) - OUR WONDERFUL WINNERS! A tough, long day trek to inaugurate our 2018 local, regional and international treks. 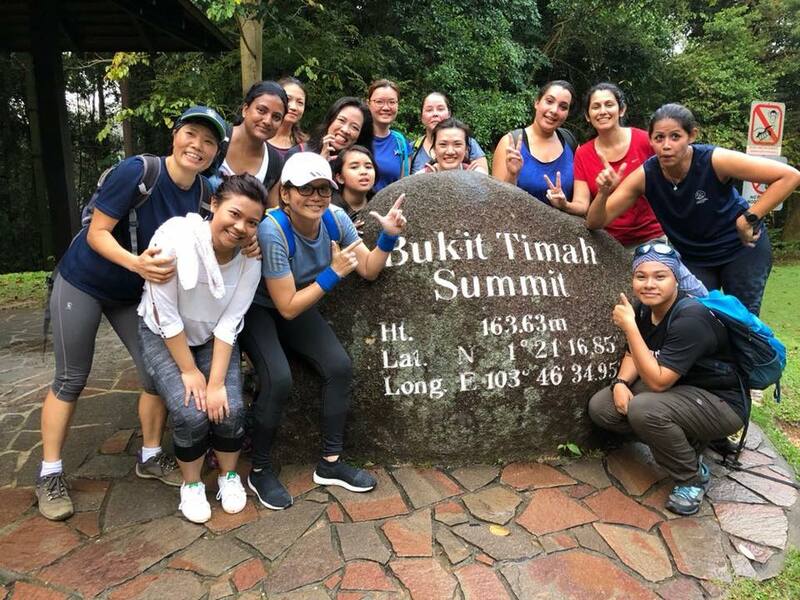 We had 16 ladies from 5 different countries of different fitness levels and varying mountaineering experiences - from newbies to seasoned climbers who have dedicated years to trekking. It was a great experience for everyone, offering the right amount of challenge to encourage a real sense of persistence and overcoming fear; the components of COURAGE. Most philosophers and psychologists agree that courage involves persistence in danger or hardship. We Learn - 12 of us made it to the summit whilst 4 decided to stop at different checkpoints. Yes, there are things that you do that will not succeed. You will learn far more, and progress much further in life when you have learned from experiences that have not worked out as planned. We trekked into the unknown. When you take a leap of faith, you are changing your behavior and creating endless opportunities that will unfold for you as a result. You cannot see the new relationships and opportunities that you will gain unless you align them with what you hope to achieve. Only then will the world opens up for you, and you will be amazed what the universe has to offer. So, don’t hold back. Don’t procrastinate. Behind every procrastination, there is FEAR; and ladies, fear is the ultimate killer in our ability to move forward and achieve what we want and deserve in life. 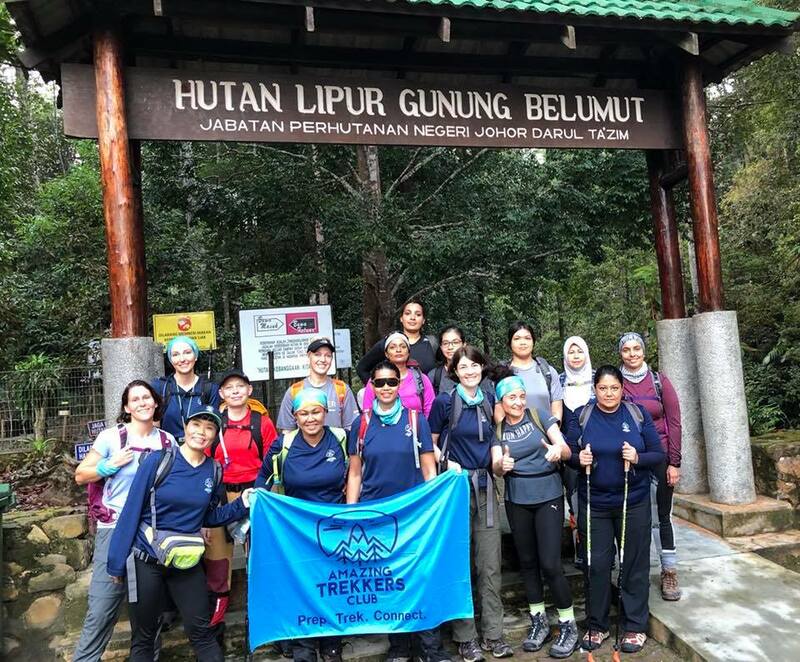 Congratulations to these courageous women for conquering one of the toughest local treks, a fantastic and very memorable climb to the summit of Ledang! We had the worst weather and the busiest trail but we stuck together and kept going. There was great camaraderie and team spirit! 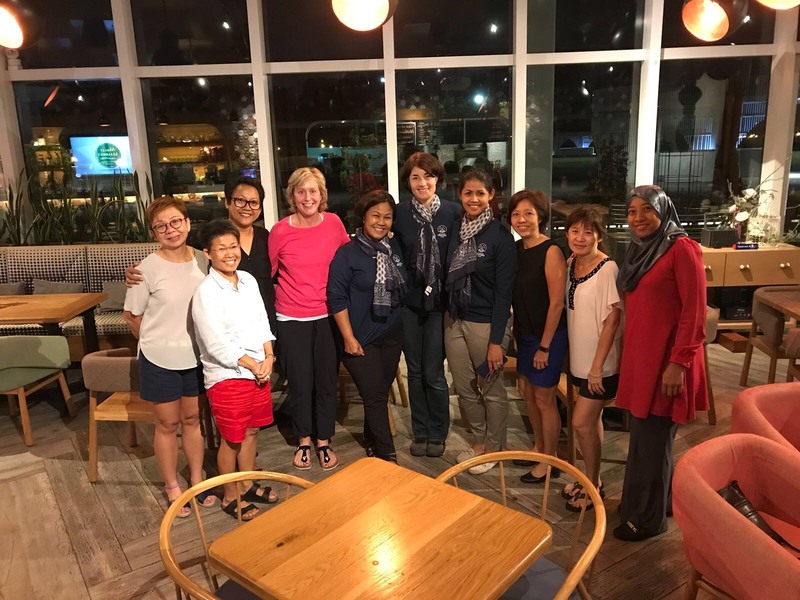 The group left singapore at 3.30am Saturday morning and arrived back at 1.30am Sunday morning. A huge shout out for Polly who won the Most Valuable Player of the trek. 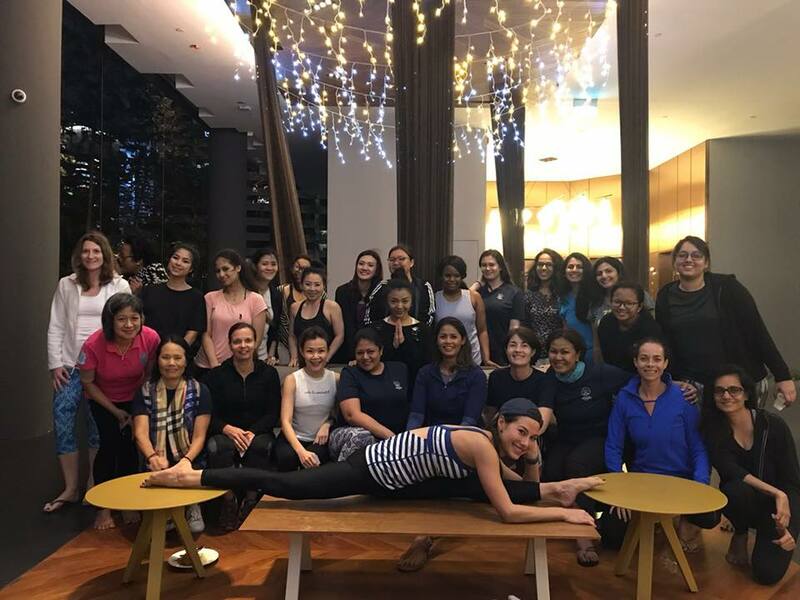 We kicked off the new year with our first PEAK & PAUSE themed get together for 2018 - a soulful Karma Yoga Retreat for Trekkers with Denise Keller. The event was attended by ATC members and their friends at Oasia Hotel in support of Maiti Nepal. Denise opened up the evening with Young Living’s Sacred Mountain aromatherapy taster, meditation and breathing exercises followed by yoga techniques to help us stay grounded, to stand and trek strong together as a team, to be flexible, to do the impossible, to never give up, to surrender & be present, to embrace the unexpected, and to always let go. We ended the yoga class by accepting and embracing our blessings. We are grateful to all our members and supporters for joining us and for supporting Maiti Nepal. Thank you to our vivacious and glamorous yoga teacher Denise for enlightening and entertaining us tonight. Big thanks to Oasia for providing such a relaxing and tranquil ambience and to SodaStream for our delicious sparkling water. Watch this space for the next yoga and aromatherapy class with Denise. With love, light, joy, happiness and inner peace. A fab evening and so much energy from the Yoga with Denise Keller. 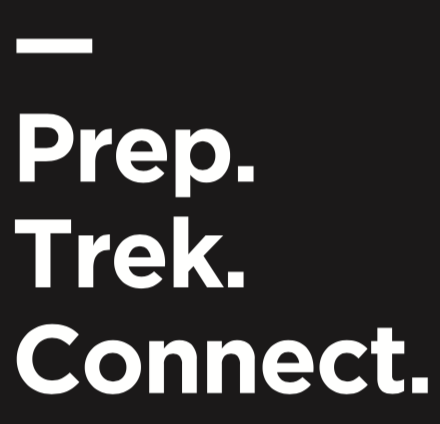 One thing ATC pride ourselves on is preparing our trekkers for their adventure. We want you all to be mentally, physically and emotionally ready to Reach Your Peak. 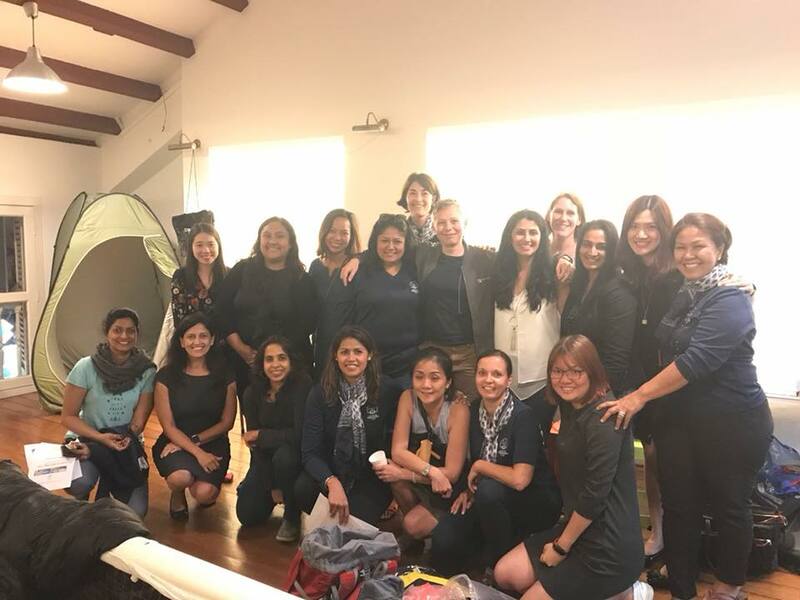 Our MACHU PICCHU ladies are getting prepped up for their 22nd April trek date. 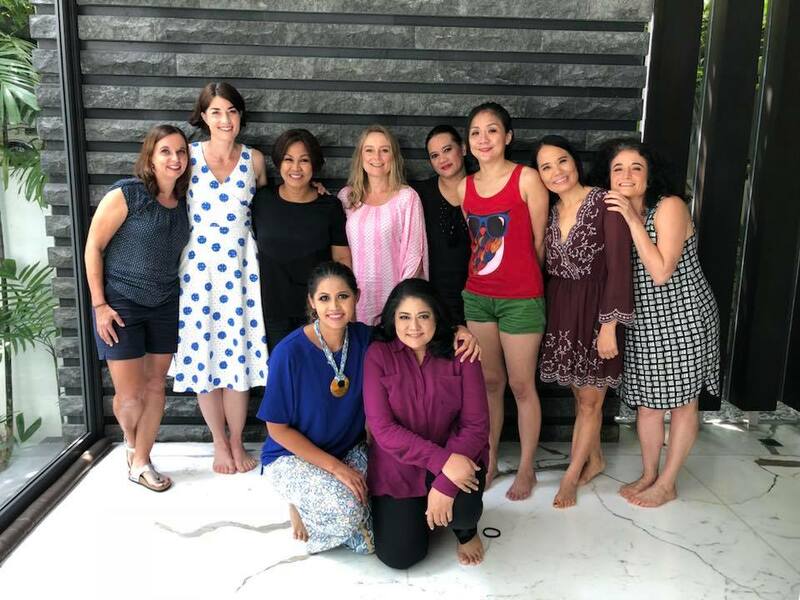 We have held 2 workshops, one in KL and one in Singapore for our two amazing, vibrant, fun loving ladies who will join ATC on the 14-day adventure in South America. 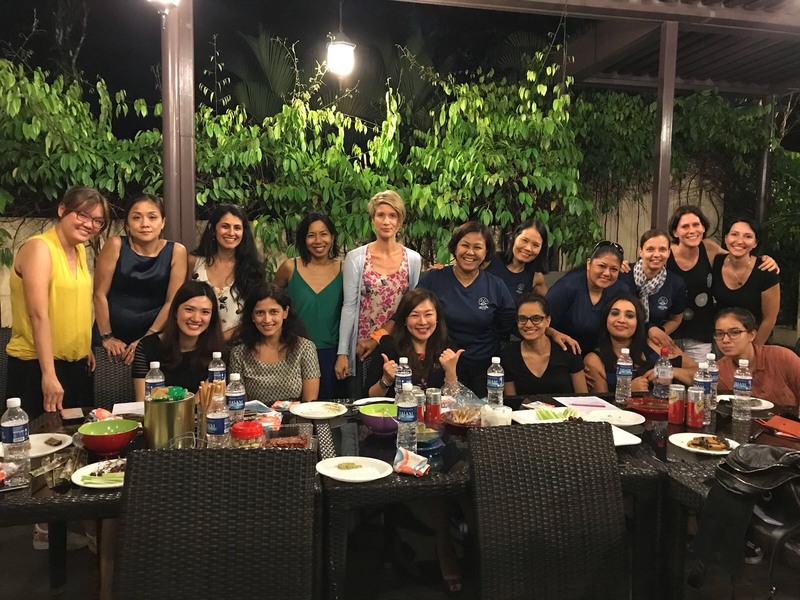 The ladies heading to MOUNT KINABALU & MOUNT RINJANI met on the 28th Feb to discuss physical and mental training, what and how to pack and discuss the logistics of the trek! Safety is paramount in our trekking community. So ATC has invested in their team and training up 12 Trek Leaders on a Leadership Preparation Programme with the support of Explora. Details will be announced this week. 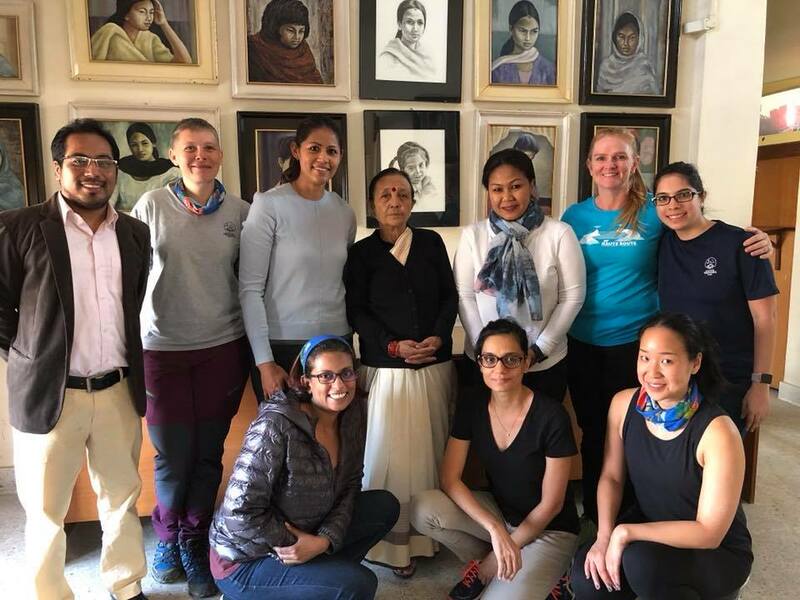 These 12 ladies have acquired the essential knowledge to be certified ATC Trek Leader as they have now successfully completed a 4 full days of training. 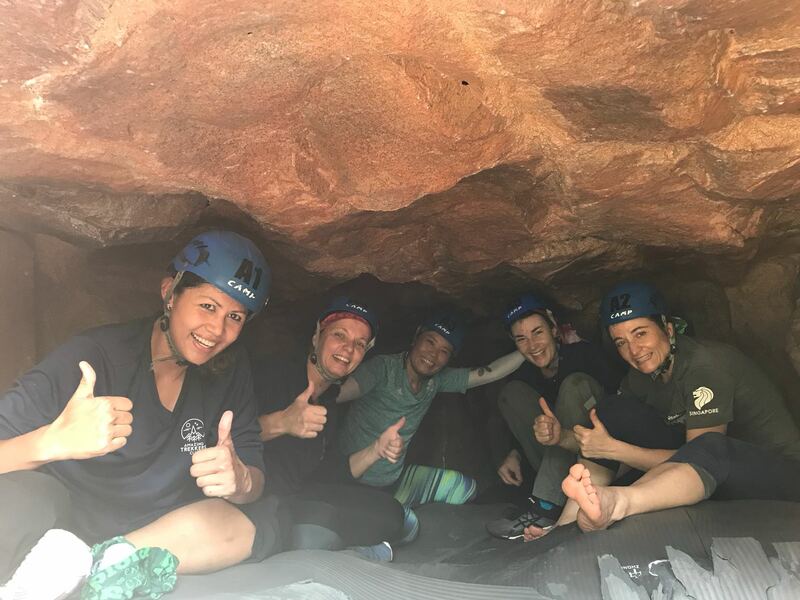 The programme comprised learning workshops covering topics including (but not limited to) Group Management, Risk Assessment & Management, Outdoor Leadership, Facilitation and Navigation. 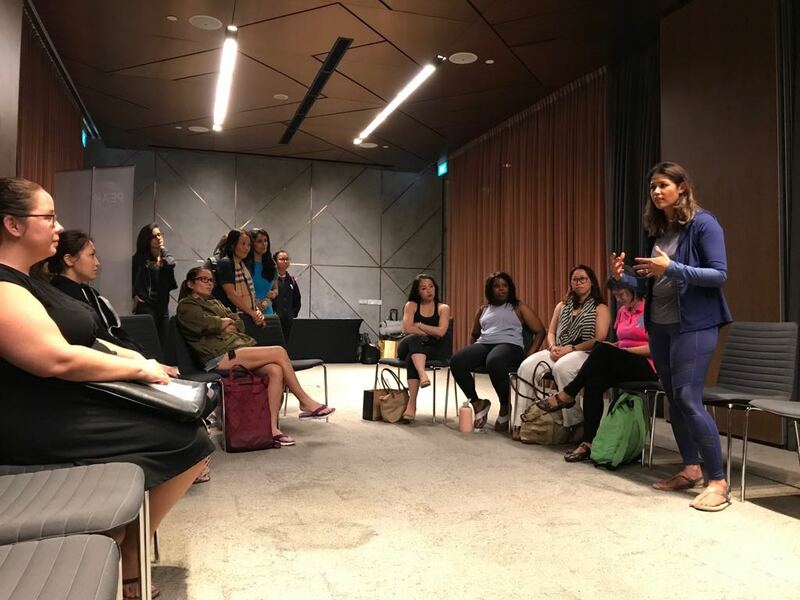 The workshops took place in the classroom and in the field to experience different situations and methodologies to ensure that our members receive the best, safest and most enjoyable experience possible. IWFCI Singapore signed over 30 MOUs at their Mongolian Asean Trade Mission. ATC was invited to attend the last leg of this Trade Mission for an opportunity to do business with Central Asia markets including Mongolia. We took part in the business seminar / networking held at V Hotel. We look forward to trekking in Mongolia in September and attending the IWFCI Mongolia Summit. 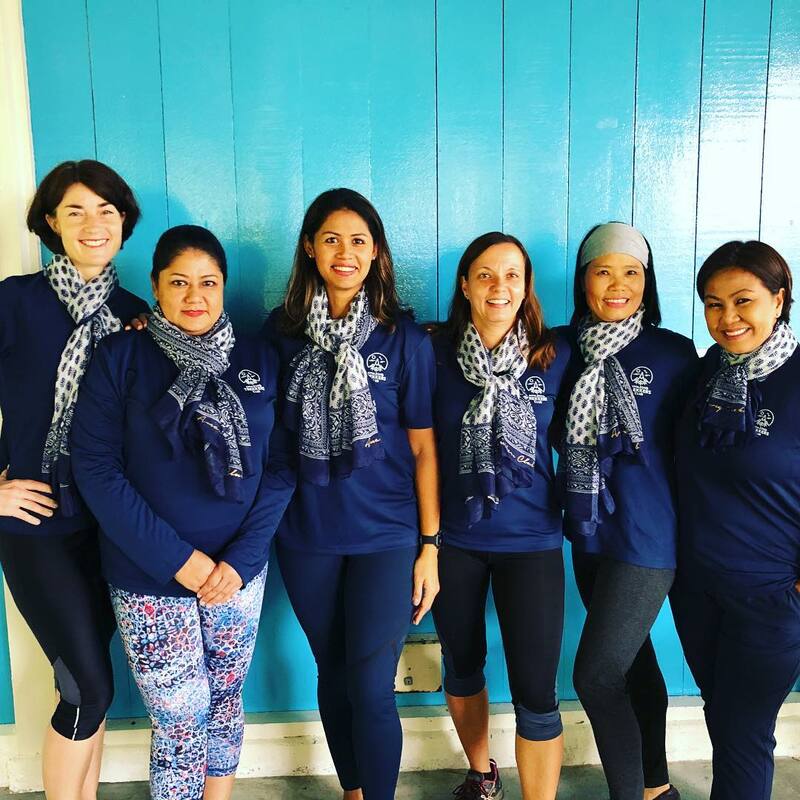 On Jan 28th ATC supported Mendaki by signing up for the trek and sending volunteers to help at the event. 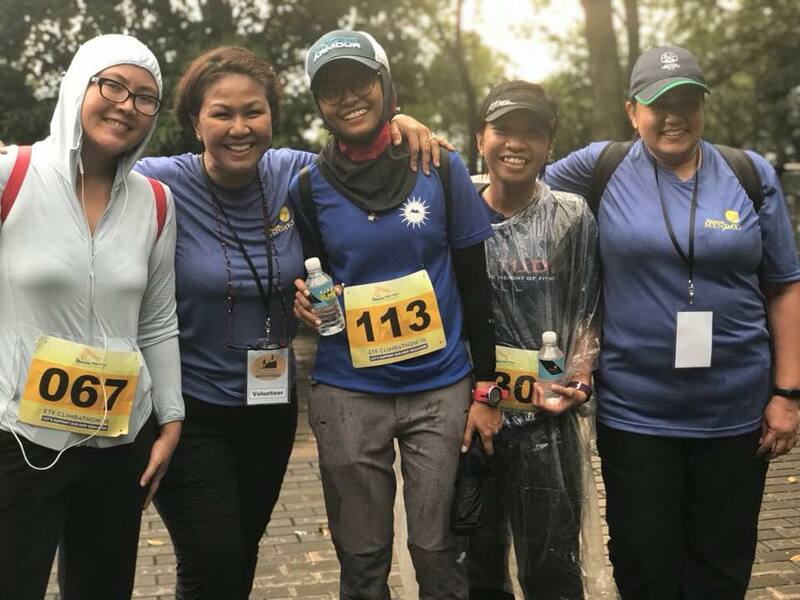 Mendaki Chairman and Minister for Communications and Information Dr. Yaacob Ibrahim was the guest of honour and our friend Yusrina Ya’acob led the trek. 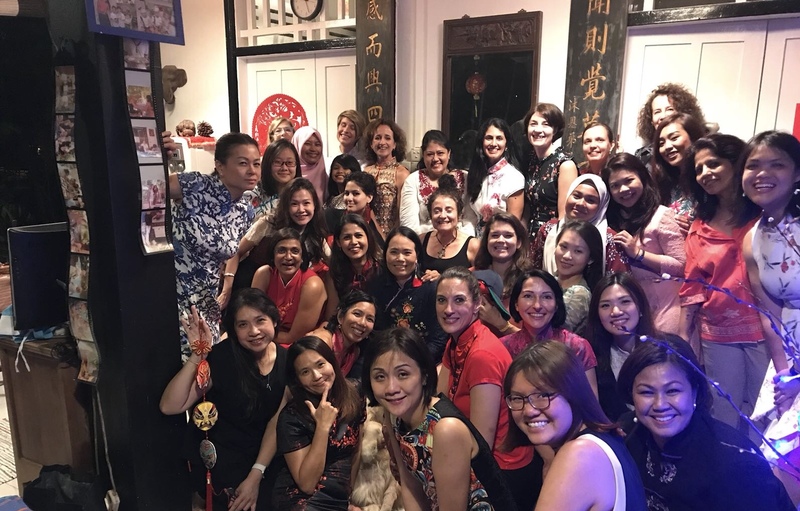 Our Annual CNY Pot Luck Cheongsam party was a huge success with so much participation, fun and laughter. Gongxi Facai, Xin Nian Kuaile and XieXie for all the delicious food, desserts, cheeses and wines including a homemade dog shaped Yusheng (Lohei). Our amazing trekkers made the night spectacular and special. We left the gathering to celebrate the year of the dog feeling joyful, full of abundance, prosperity and vigor. Photos from the party available here photos. is designed to help you achieve your goals, improve your performance and release more power. Our Training programme is available to view on line. You can incorporate these activities into your current training programme and prepare your body to be hiking fit. There is no excuse for you not to challenge yourself to set a new goal and to dream a new dream. 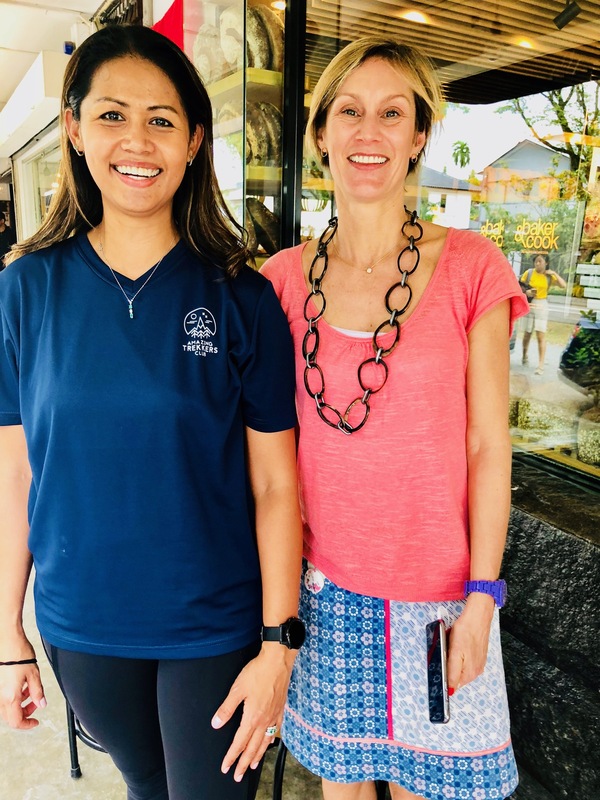 We have a new Friday Flow and Reflect Session - yoga with Julia He and a sharing circle with Anji Hallewell, a Strength Coach. We also have been running a cycling group which often meets on Sundays. 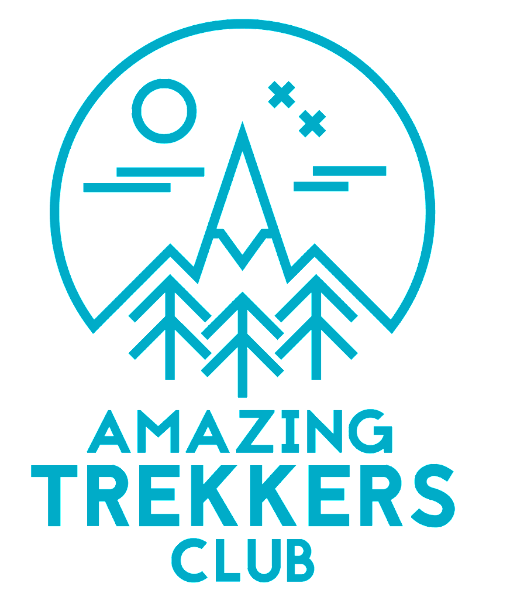 If you are a serious cyclist (or want to be), have a road bike and a helmet, please email us at info@amazingtrekkersclub.com and we will connect you to the group. We are also organising a one off swimming session to support you in your training at home on the 12th March. We have some big treks coming up and our Trekkers have been hard at work! Whether you are heading to Bukit Timah Hill or Gunung Ledang, essentially you need to pack the same items to keep yourself safe and ready to deal with any potential accidents. You may need to change your essential kit list depending on the remoteness of the trek and level of support around you. So what are key 10 items to take on a day training hike? Join us for a our monthly Night Walk along the Southern Ridges. It's a beautiful walk and especially beneficial if you are training for a night summit. 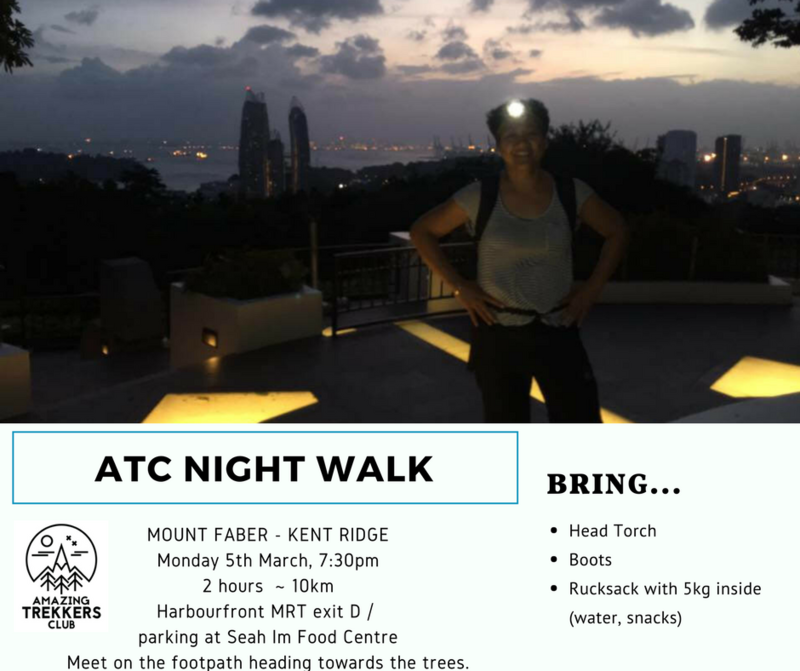 Bring along your head torch, wear your trekking boots and fill your bag with 5kg! Our last night walk was on Monday 5th March. The next one will be on the 2nd of April. Sign up today. It's easy to fall into the habit of doing the same comfortable exercises. They will become easier over time but the workouts won't offer you as much of a challenge and your fitness level can plateau. To maintain a healthy and challenging exercise regimen, it's important to diversify your workouts with a variety of activities. Make sure you cover the five main elements of fitness: aerobic exercise, strength training, core exercises, balance training, and stretching. 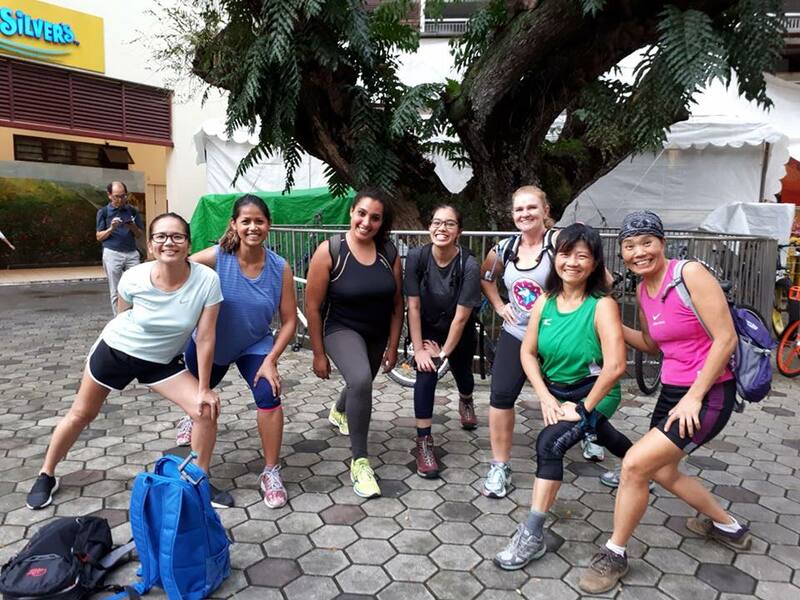 When trekking you do need to focus on your aerobic exercise with activities such as walking, jogging, stairs, biking, swimming, aerobics, skipping, etc. For the best results, include a variety of these exercises. 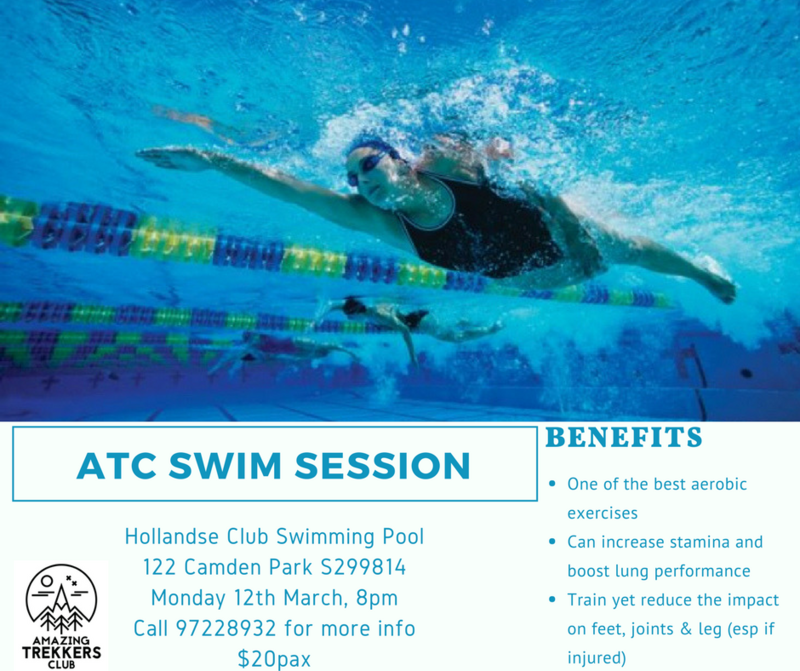 Our first training is Monday 12th March at the Hollandse Club for a swim training session with Aquaducks. 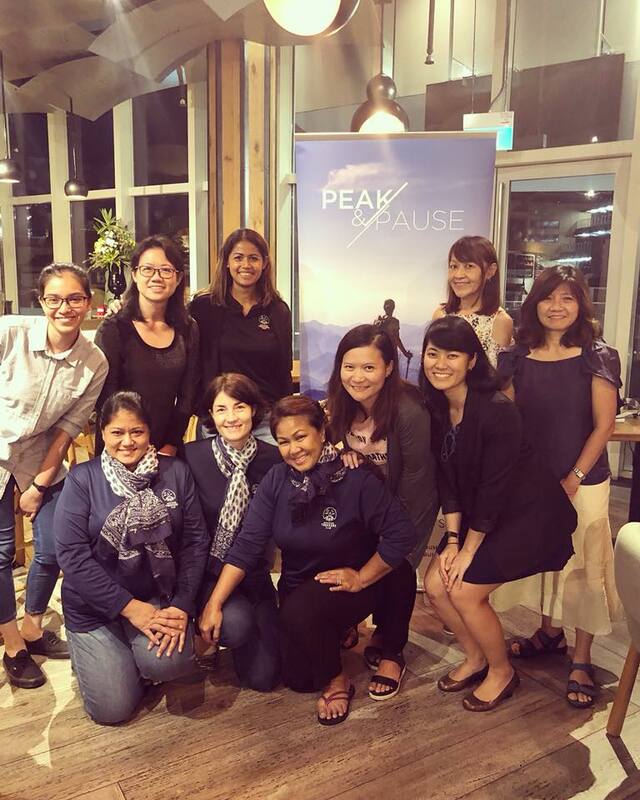 We want to share the success of Peak and Pause Singapore with Malaysia and expand our service offering North of the boarder. If you are based in Kuala Lumpur please join us on the 20th March and be wowed by our special guests and panel of speakers. 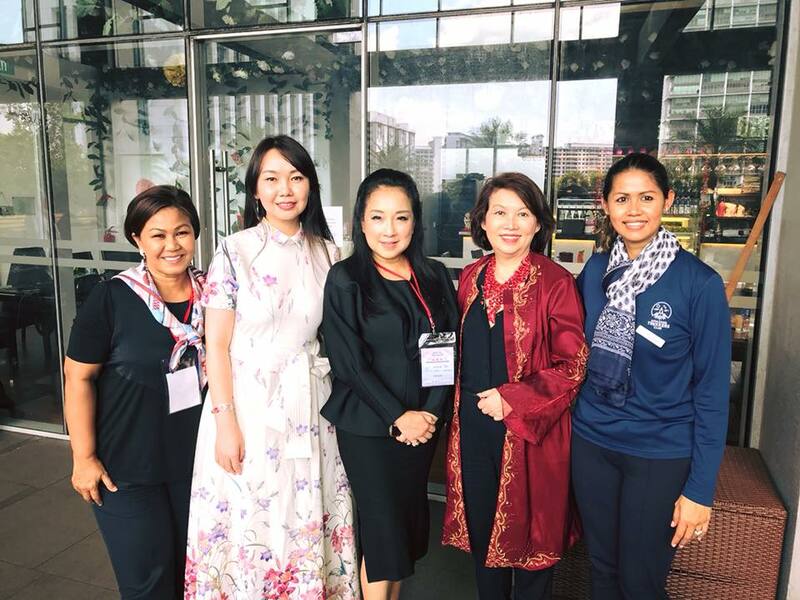 Meet Dato' Elaine Teh, President of IWFCI Malaysia Chapter, Aysha Shujaat, President of Lean in Malaysia, and Salwana Ali, Founder of Women in Commerce, Denise Keller from Discovery Asia Channel Host and Ooil Suan Kim, Chariman of Builders Biomass. The panel session will discuss Maintaining Focus, Mental Agility, Tenacity and Balance. Our founder Hazleen Panayiotou will be on the panel giving. her perspective on Tenacity. Join us prior to Peak and Pause panel discussion for a Yoga Retreat with Denise Keller at Oasia Suites, KL. Denise does not need any introduction. 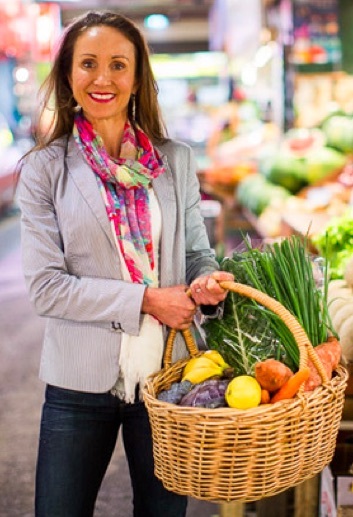 As a former MTV vj and Ford Model, yoga has always been at the heart of Denise's wellness regime. Feeling a need to share her passion, Denise embark on her first 200-hr Yoga Alliance Certification through Pure Yoga. Denise is the furthest thing from a celebrity yoga instructor. What she brings to her practice is compassion, music and her fun-loving personality. This is what set her apart from the rest. RM100 with RM20 being donated to our 2018 Charity Maiti Nepal. Dreaming Mountains? You are not the only one, so are we! The 2018 treks are out. We have completed our information evenings but don't worry we are happy to meet you another time if you are interested in a particular trek. Set Goals and Take Action for 2018! Trekking is fantastic, but when something goes wrong, it can become much more serious than when you're at home. When trekking with ATC, we ensure you are well looked after but it is also mandatory that you have taken out personal Travel Insurance. Many travel insurance policies don't cover above 4,000 meters. Most credit card travel insurance companies do not cover you for trekking at altitude either! 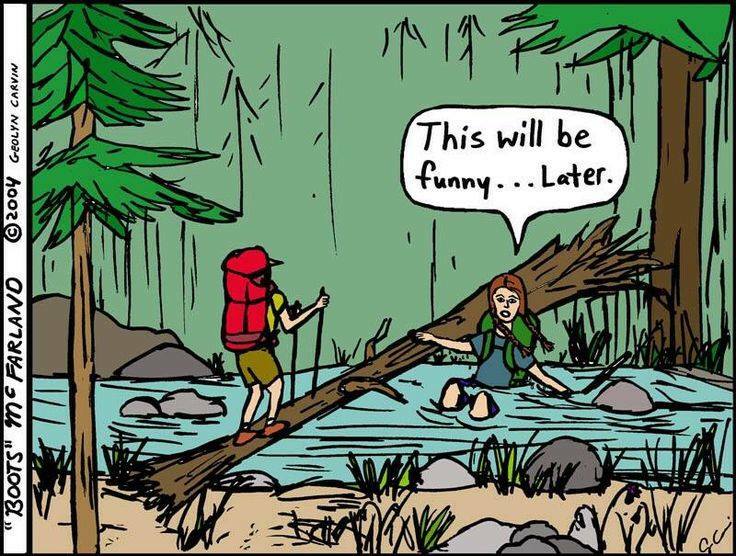 The best thing you can do is call up your insurance company and ask if you are covered for trekking. If you have any questions or which for a quote, please contact Lim Shiyun on 90703144 or limshiyun@me.com for further information. 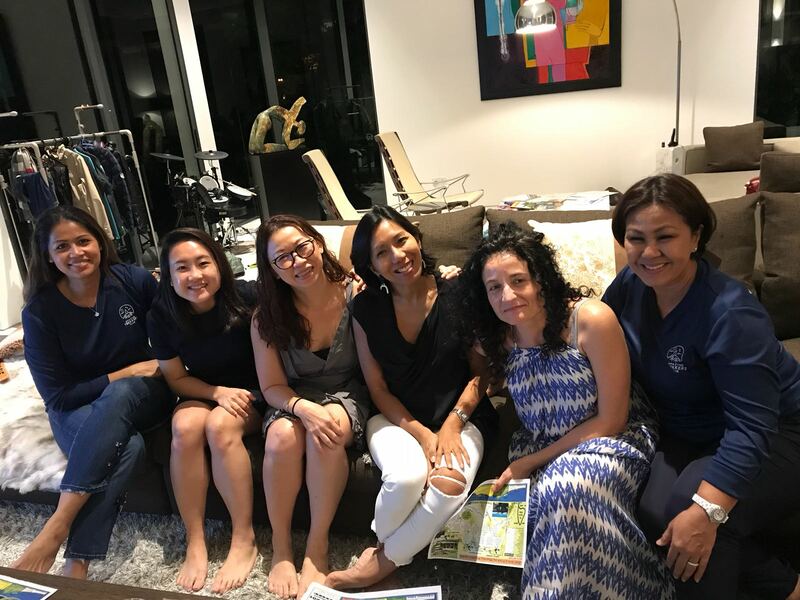 ATC's Friday Flow and Reflect session is such a wonderful time to spend some time on you! Anji Hallewell leads the 30 min Reflect sessions and touches upon many different topics to help you see and respond to life and its challenges. Anji Hallewell of Hidden Lava has dedicated classes and programmes which are of interest to all of us here. "There are some things that you can not change in life, but you can change how you are in it." 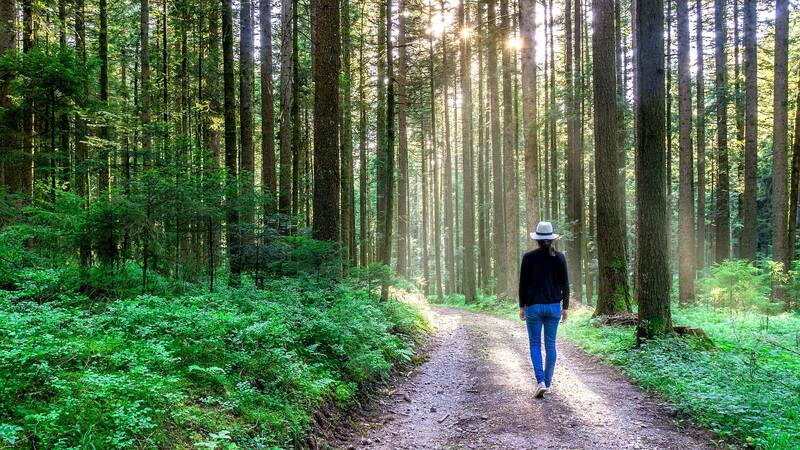 Join the In The Zone: 4-week Mindfulness Programme and learn to be mentally and emotionally strong to achieve a life of balance, calmness and purpose. Daytime Course starts Tues 8th May, 10am, Windsor Nature Park. We know that protein is vital when training hard. Lentils are a wonderful vegetarian protein source and you will love adding this Lentil Bolognese to your weekly meal plan. Vegetarian dishes can play an important role in achieving wellness. Lentils are one of my favourites as they are kind on the digestive system, along with being a good source of vegetarian protein, fibre and folate that help to stabilize blood sugars. This sauce is a winner with the kids and also freezes well. I usually serve it with zucchini noodles or brown rice pasta. Melt ghee/oil in large saucepan and then saute onion, garlic, carrot and celery on medium heat until soft (about 3 minutes). Add tomatoes and 50mL water/stock to saucepan and stir through. Add all remaining ingredients (except noodles) and simmer (uncovered) on medium-low heat for 15-20 minutes. Stir regularly (esp towards the end) to ensure lentils don’t stick to the pot. 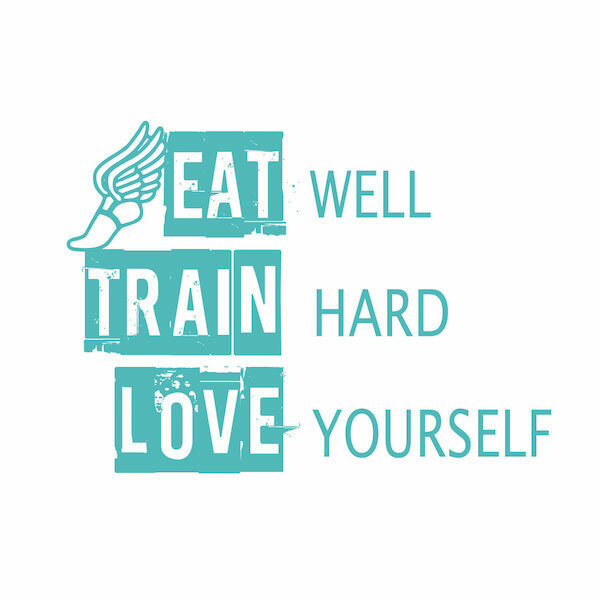 Whether you are training for Spartan, a trek or want to tone up, ETL have a great selection of classes. View their class schedule. Their bootcamps are a great option to get into peak condition for treks. As an ATC member, you will receive a discounted rate on their packages. Contact Cheryl at (65) 9734 7281 or cheryl@eattrainlove.net to start your benefits. 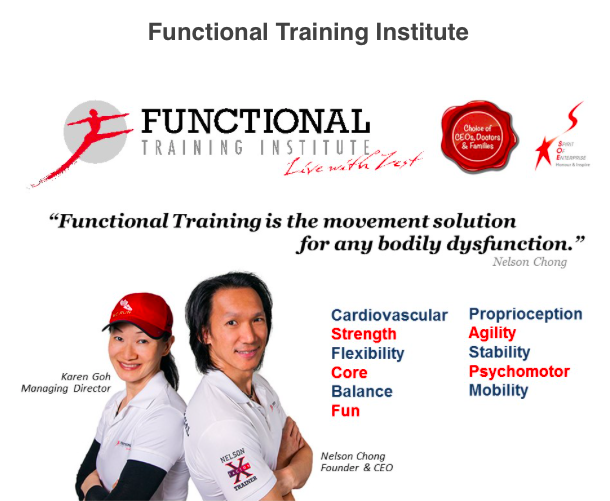 Nelson and Karen from Functional Training are offering our members a special rate of $96.30 per hour for 6 sessions if any one is interested in one to one treatment or training. The normal price is $160.50. - Valid for first time visitors. - Each person entitled to one package of 6 sessions. Normal rates apply thereafter. - 6 sessions must be completed in 6 weeks. - There is a facilities fee of $64.20 for gym usage for the 6 session promotion. ATC and School Notices Asia are delighted to be partnering and supporting one another. 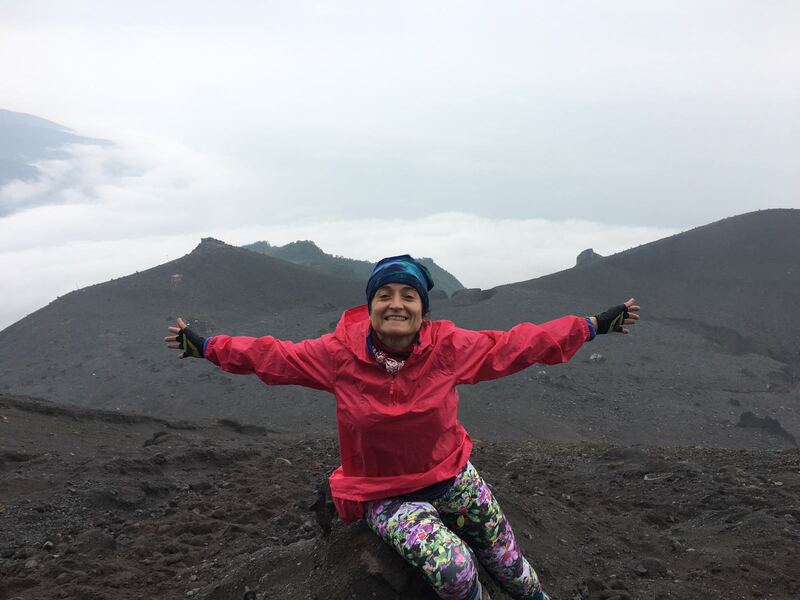 Selina Boyd is a trekker herself and loves to summit volcanoes. We look forward to welcoming Selina into ATC when she moves back to Singapore in July. 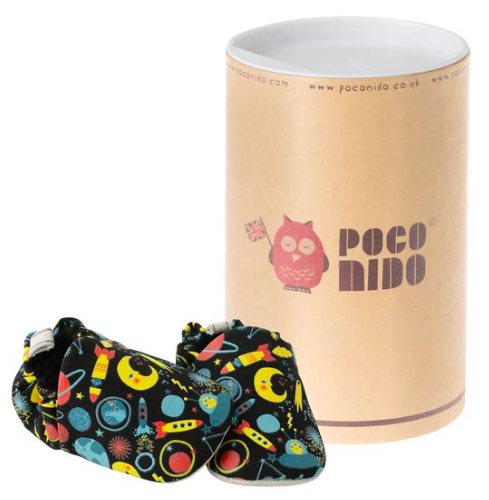 30% discount for ATC members on Poco Nido products. All postage in Singapore is Free! 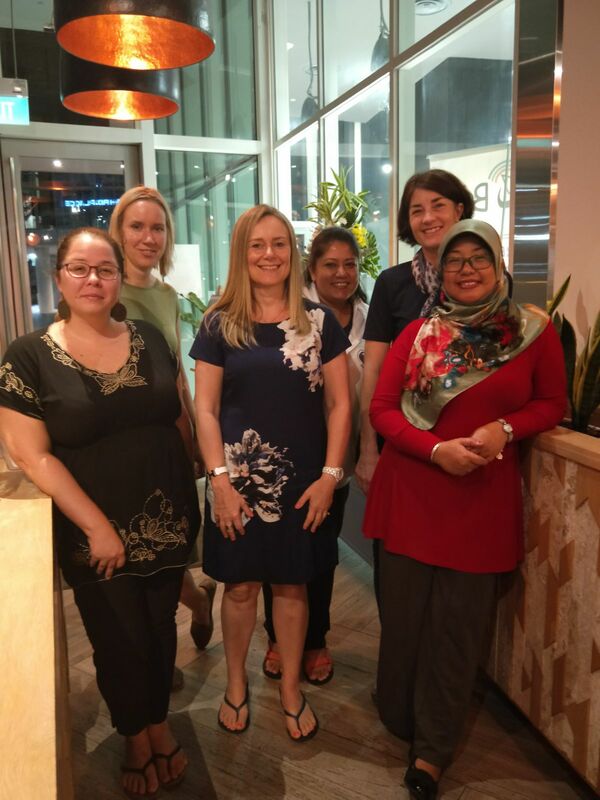 Welcome and Congratulations to our new members Christina, Tara, Joanne, Sheila, Mariem, Gauri and Magdalene and from Malaysia, Faridah, Ali, Azura and Narzaida. Can't wait to trek with you all on the trail very soon. 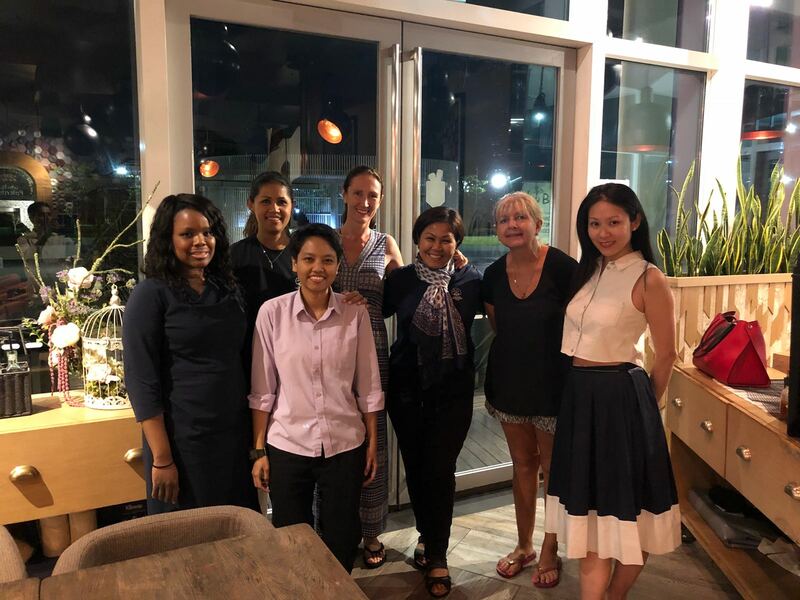 We are so proud and blessed to have Dr. Shilu Shrestha, our member based in Nepal who trekked to Everest Base Camp with us last November recognised as the first generation of female reconstructive surgeons in Nepal. Following an inspiring and emotional meeting with Mrs Anuradha Koirala, founder of Maiti Nepal and CNN Hero in Kathmandu. ATC will be focusing 100% of charity efforts in 2018 towards Maiti. 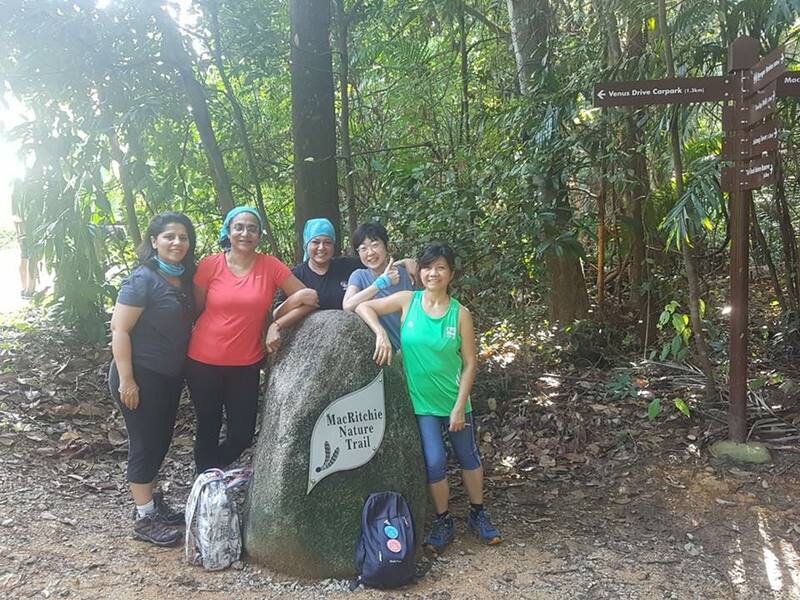 We very much look forward to trekking with you all soon and especially wish our Mount Kinabalu trekkers all the best for their climb this weekend.